Explore some walking trails for see some of this Spring’s native wildflowers or other flowers. 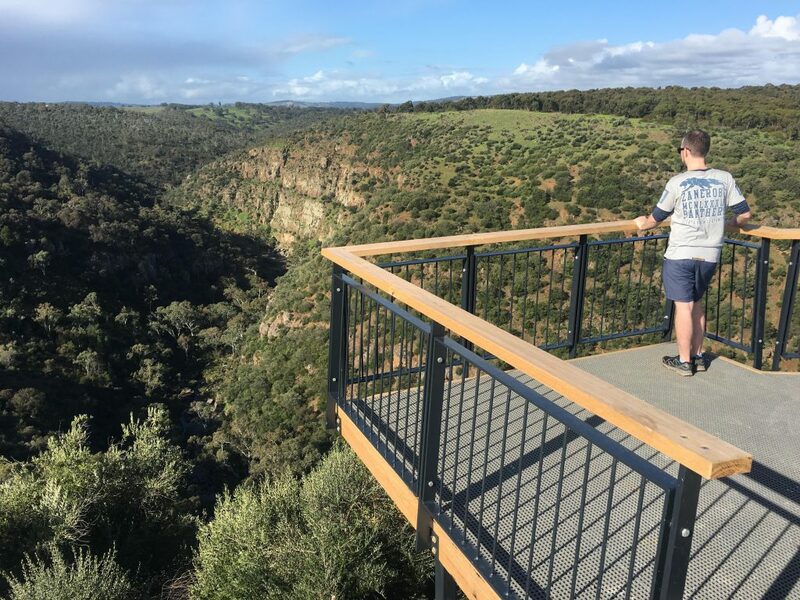 We’ve listed some walking trails near Adelaide in the Adelaide Hills, and in parks and reserves on the Fleurieu Peninsula. Thanks to everyone who has been entering our Spring photo competition of wildflowers you’ve seen when out walking on a trail, we’ve seen some great photos and places to walk. We’ve had four winners, one for each week of September, each winning a Multi Park Pass thanks to National Parks SA. What do we mean by the term “wildflowers”? It is often understood to mean native Australian flowers growing freely in the wild. However… unfortunately some of the flowers we see growing alongside trails in our national parks and reserves are introduced species of flowers, which means they are weeds. It could be subjective how much enjoyment someone derives from walking through nature and seeing these flowers – be they native wildflowers or introduced flowers (weeds). Regardless – a quick public service announcement – don’t pick the flowers – either native wildflowers or weeds. The native wildflowers should be left as-is, so they keep growing in the wild. And some weeds shouldn’t be picked and transported, because it tends to encourage them to spread. Generally in the walks we’ve listed below, we’ve tried to show native wildflowers, but we acknowledge that some of the photos will invariably be of introduced species – weeds. 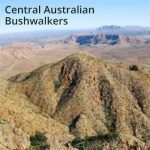 And a couple of the walking trails below include flowers we very much know are not native to Australia, but we’ve included the trail destinations as they’re great places to walk and see flowers and nature. 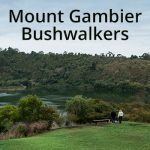 In Anstey Hill Recreation Park explore the wildflowers on the Black Hill Summit Hike (4.2km return Hard Hike) or the Ambers Gully Hike and Sugarloaves Trail (4.4km circuit, Moderate Hike). Walking can transform your life, by improving your physical health and social connections. Bernie Victory talks about how getting involved in a charity walk led to losing weight, feeling healthier, and making new friends. He has found walking to inspire him to travel both locally and overseas to walking destinations. 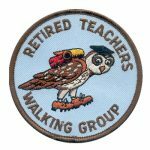 I’m in a walking group that doesn’t actually have a name. It’s just a loose collection of people that are strung together by a weekly email, but there’s about 200 people that get the email, and on every Saturday there’d be somewhere between 20 and 50 people walking. I find that the group I walk with, they’re a group of people with a huge range of skills. 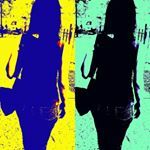 I think that’s one of the great things about walking, you can be together as equals within an enormous number and enormousness range of people, and it’s a great equality. The way the walking works is there will be a walk, and there’ll be coffee at the end of the walk, and at the end of coffee someone will say “Has anyone been to Mt Hayfield?”, or “I want to go to Borneo, and do the death march,” and I just recently came back from the Bungle Bungles, and to find places in Australia that I didn’t know existed, that were just so beautiful, and just so stunning, I was in awe for days. Every coffee leads to another walk, and every walk leads to more contacts and more connections. It was 2003, and I had decided to do the Kodaka Track. It was a fundraiser for work, and it came at just the right time, because I got very unfit over the last twenty or so years, and I was significantly overweight, and I knew that if I was going to do the Kodaka Track I would have to walk, I’d have to train. Doing the Kokoda with people, who six months before could barely get out of bed, and wouldn’t get out of bed, to see them reach a level of fitness, and to finish the track, and that sheer moment of joy, that’s always a moment of great inspiration. The weekly prizes for the first week, thanks to ioMerino are two $50 vouchers. 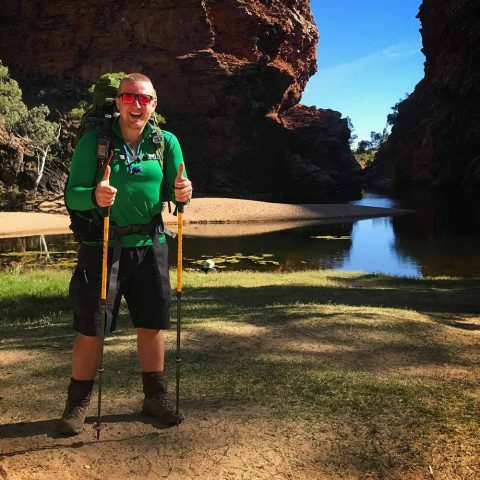 ioMerino not only make amazing, natural, thermal layers to help keep you comfortable for longer when you’re out hiking, they also happen to be a local South Australian company! This week’s prizes will be drawn Monday 8/10/18. Today the Winston Churchill Memorial Trust has awarded $3.1 million worth of Churchill Fellowships to 112 Australians. 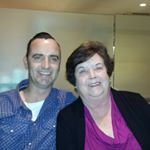 One of the recipients is our very own Walking SA Board member Ben Trewren, being awarded the Terry Lavender Scholarship. This scholarship provides opportunities for South Australians to investigate ways to develop, improve, manage, and promote outdoor recreational trails and pursuits in South Australia. 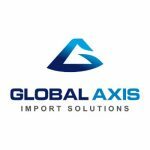 The Winston Churchill Memorial Trust’s aim is to provide an opportunity for Australians to travel overseas to conduct research in their chosen field that is not readily available in Australia. The Trust was established in 1965 to honour the memory of Sir Winston Churchill, and fulfil his wish for people from all walks of life to travel the world to gain new knowledge and share ideas and insights. 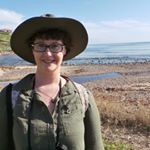 Ten South Australians were awarded a fellowship. Ben’s project will allow him to research how engaging people in shared trails can assist in building the outdoor community. Ben hope’s to honour Terry’s legacy by harnessing this opportunity to uncover new ideas, attitudes and implementation strategies to build the profile/useability of outdoor recreation trails for all types of users. Ben will be travelling to New Zealand, USA, Canada, United Kingdom, Switzerland and Netherlands. 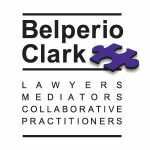 Find out more about the project in Ben’s presentation at our AGM at 6:30pm Thursday 11 October 2018. 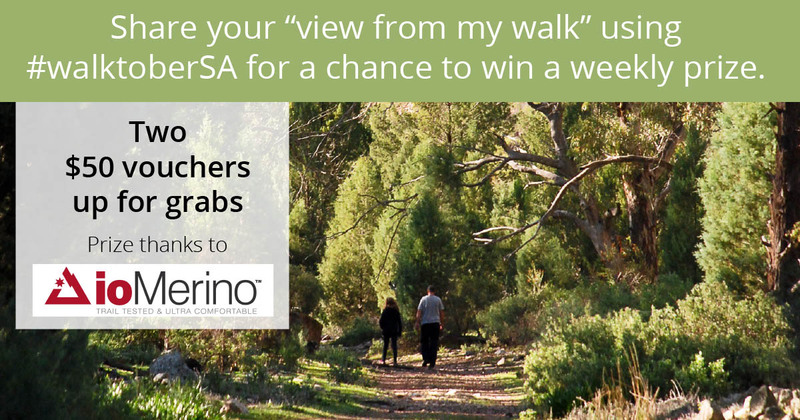 Our vision here at Walking SA’s is to see more people walking more often. We’ve recently developed three new Position Statements on a range of issues affecting people walking for recreation, health, or transport. Over coming months we’ll be releasing more. Walking SA encourages the government to develop an integrated active travel strategy that includes boosting of funds for implementing the Way2Go program in every school in SA. 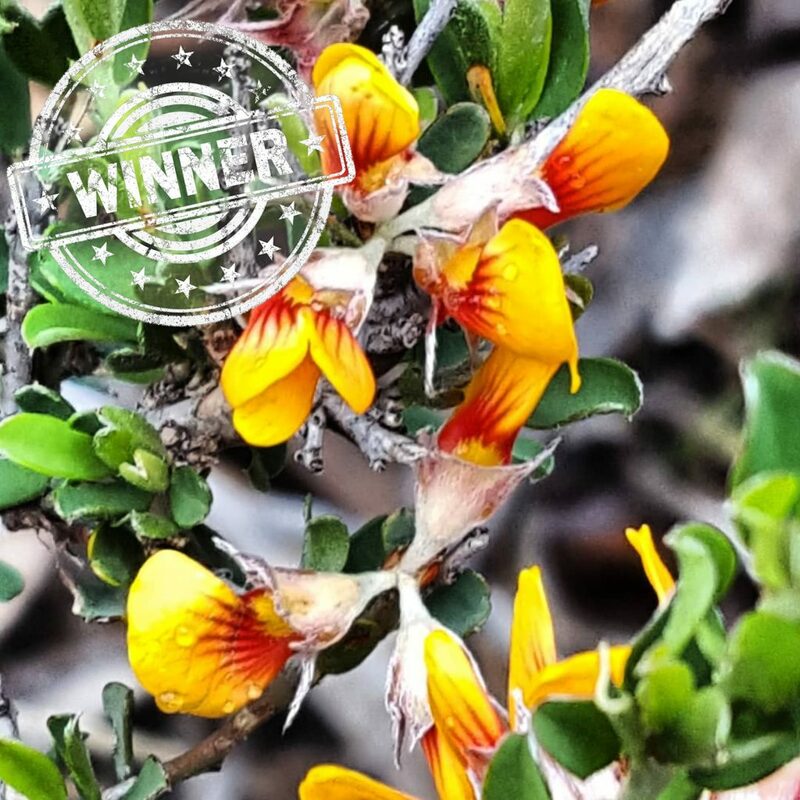 Instagram user muddy_pies has won this week’s wildflower walk photo competition with her photo of the Twiggy Bush-pea wildflower seen on the Wildflower Wander in Anstey Hill Recreation Park. The Wildflower Wander is a 1.3km one-way trail, walk up hill and return by the same route or return on some of the Pink Gum Loop. There are 11 trail options and loops in the park. 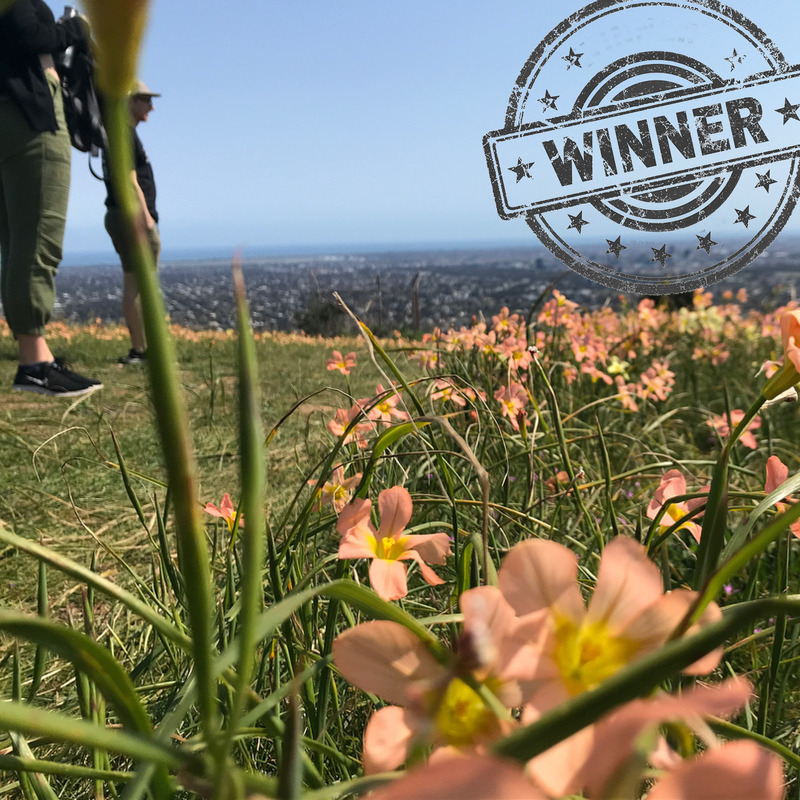 Enter our Spring photo competition of wildflowers you’ve seen when out walking on a trail for a chance to win a Multi Park Pass thanks to National Parks SA. Instagram user Illy Graetz has won this week’s wildflower walk photo competition with her photo of wildflowers seen on the one of the Beaumont Circuit hikes, part of the Burnside Walks network. There are 10 walking trail options in the Burnside Walks network. The trails are around the foothills near Burnside, Mt Osmond Reserve, and in the adjoining Chambers Gully. There are walk options from 1 hour up to 3-4 hours. 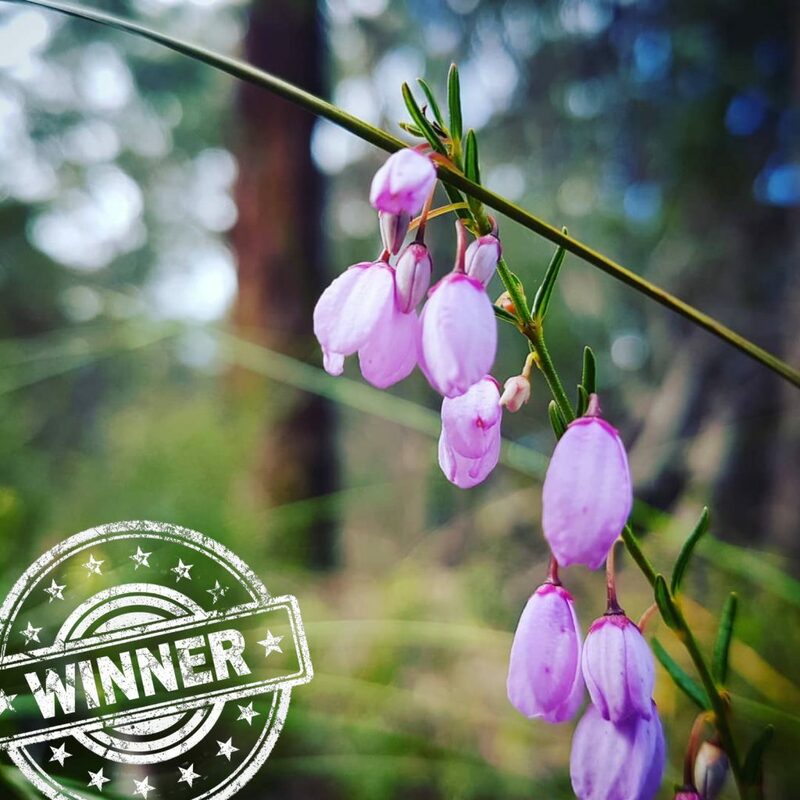 Instagram user scubacoops has won this week’s wildflower walk photo competition with her photo of wildflowers seen in Kuitpo Forest. There are 4 shared-use trails in Kuitpo Forest and 2 walking trails in the adjacent Kyeema Conservation Park. The Heysen Trail pass through both parks. The Forest and Park are a mix of plantation pine forest and native scrub. View the walks and trails. Explore 4 shared-use trails in Kuitpo Forest and 2 walking trails in the adjacent Kyeema Conservation Park. The Heysen Trail pass through both parks. Kuitpo Forest is 60% plantation pine forest, with the rest native scrub. In the adjacent Kyeema Conservation Park there is dense natural scrub. 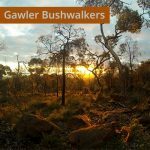 Experience the pine forest and native scrub around Chookarloo Campground on this short walk. The walk starts from the Chookarloo Campground at one of the footbridges, entering the dark forest shady forest. The circuit is great for kids, offering lots of fallen trees and other nature place experiences. Greg Boston, Bundaleer Forest Community Areas Association chair says the funding is a show of faith in the local community’s vision. The plan to redevelop the Bundaleer Forest Community Precinct has been secured thanks to a $110,000 State Government grant. 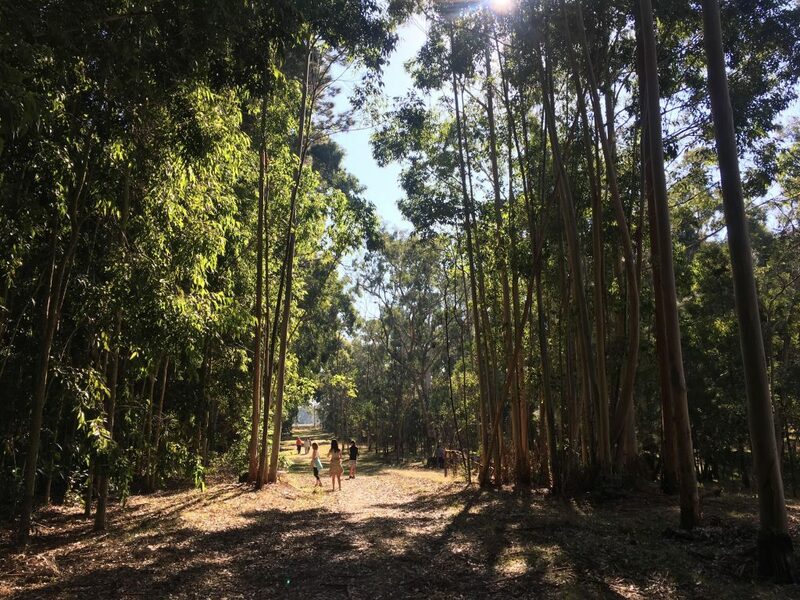 Back in July, the Bundaleer Community Areas Association began scaling back their redevelopment plans, despite a $150,000 grant from the 2017 Fund My Neighbourhood project and a $100,000 grant from Forestry SA. 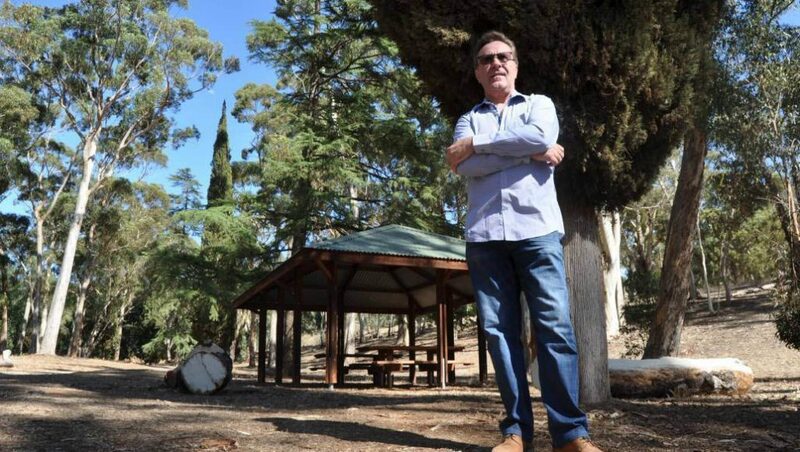 This means they can now proceed with the full vision: a fresh start for Bundaleer Forest Picnic Ground, to renew and revitalise the precinct into a vibrant community recreational space and tourism drawcard. for walkers and mountain bike users an expanded undercover area, toilets, showers, and kitchen facilities. 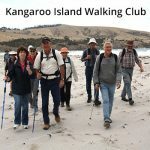 Walking SA supported the group’s project as it will encourage more people to use the forest trails, including a re-routed Heysen Trail. You can sign up for project updates via the Register Your Interest button on the mybundaleer.com website. The forest at Bundaleer was South Australia’s first forest plantation, first planted in 1876 as a trial site. Following the 2013 Bangor bushfire and 2014 Wirrabara bushfire, much of the forest area is now being transitioned from commercial forestry use to recreational or other use. 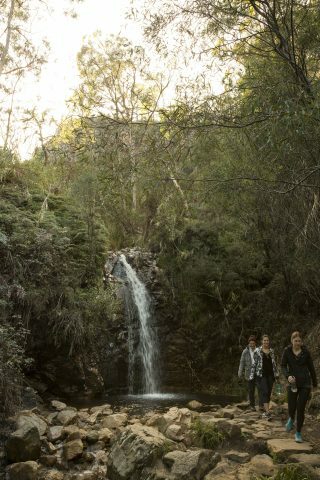 A further funding boost of $2.9 million allocated to the Waterfall Gully to Mount Lofty Summit trail will restore and upgrade this popular and iconic walking trail, making it safer, more sustainable and storm-resistant in the future. The popular and strenuous walking trail sustained significant damage in the September 2016 storms, with initial funding being used to restore access, make safe and repair the most damaged sections of the trail by the end of 2018. However, this new injection of funding will expand the scope of the upgrade, restoring the Waterfall Gully trail completely from top to bottom. The additional restoration work will extend the original completion date of the project, with the revised date for all works expected to be by the end of 2019. The restoration works will include creek bank stabilisation, new boardwalks, stonework and trail re-surfacing. Whilst these works are in progress detours will be in place for sections of the trail on weekdays for the safety of public users. Unless any unforeseen circumstances arise, the usual trail routes will be available on weekends and public holidays. It is worth noting that detour routes may be longer and may cover slippery, steep terrain, so extra care and attention will be needed by all using these trails. To keep up to date with the latest updates check out the Natural Resources Facebook page or for more information head to the National Parks website.